Lake Wylie is spread over 13,400 acres shared by South Carolina and North Carolina. 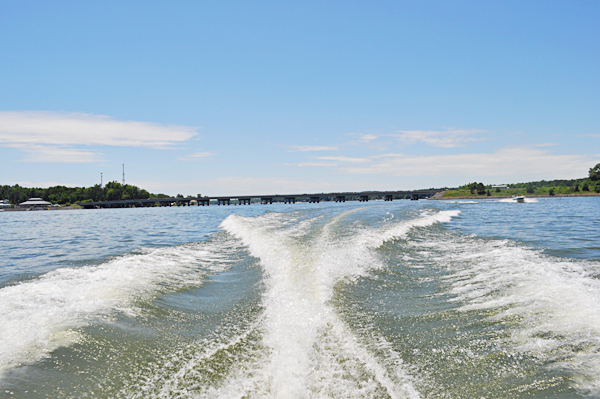 The large expanse of water makes it ideal for boats of all kinds, water-skiing and wake-boarding. The irregularity of the shoreline provides lots of nooks and crannies to explore in a kayak or canoe. There are fishing tournaments throughout the summer. You can catch some prize-winning largemouth bass and smallmouth bass, but the lake is also filled with crappie, bream, catfish and white perch. Remember that you need fishing licenses from both South and North Carolina. The Lake Wylie Music Fest is a free concert during the summer months. Attend on land or on your boat. Either way, bring a drum to join in. Talent is not required!